Mika Väyrynen (b. 1967) is one of the most well known and respected accordion artists in the world today. He started his performance career by giving his debut recital in 1985, when was just 17 years old. Since then, he has concertized all over the world, including most of the European countries, all Nordic countries, Japan, Russia, USA and China. He has performed as soloist of practically every major Finnish Orchestra, as well as the Estonian State Philharmonic Orchestra, the Tallinn Chamber Orchestra and the Copenhagen Philharmonic. Conductors with whom he has performed are renowned Maestros including Okko Kamu, Sakari Oramo, John Storgårds, Ralf Gothoni, Juha Nikkola, Olari Elts, Vello Pähn, Atso Almila, Andres Mustonen and many others. As Chamber Musician, Mika Väyrynen has performed with some of greatest instrumentalists including Arto Noras, Ralf Gothoni, Jan-Erik Gustafsson, Vladimir Mendelssohn, Ramon Jaffe, Jaakko and Pekka Kuusisto to name just a few. He has performed at almost every important accordion festival in world, has taught in several accordion summer schools and seminar as well as adjudicator in most important accordion competitions. In November 2007 he performed as a soloist in perhaps the most famous concert hall in the World the Musikverein´s Golden hall in Vienna, in a completely sold out concert - as a first accordionist in the more than 100 year history of that world famous Concert Hall. 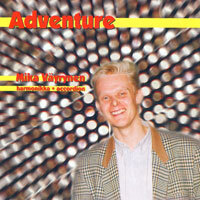 Mika Väyrynen started his recording career 1990 and has gone on to record more than 20 CD´s including solo repertoire, concertos and chamber music on respected labels such as Finland/Warner Japan, JVC Victor Japan, Naxos, Alba, CPO and Fine. 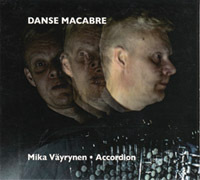 He has also appeared on the CD's of other artists, including with vocalist Jorma Hynninen, YL-Choir and others. He has recorded regularly with the Finnish National Broadcasting Company (YLE) since 1985. Väyrynen is actively collaborating with some of the world's leading contemporary composers. Among composers who have dedicated works to him are Aulis Sallinen, Erkki-Sven Tüür, Pehr-Henrik Nordgren, Leif Segerstam, Jouni Kaipainen, Juhani Nuorvala, Paavo Korpijaakko, Anatoli Kusjakov, Bogdan Precz and Kirmo Lintinen. In 2005 he premiered the Chamber Concerto "Metamorphoses" by Paavo Korpijaakko at the Kuhmo Chamber Music Festival (a work commissioned by that festival). In 2006 he premiered the Concerto for Accordion and Symphony Orchestra by Pehr-Henrik Nordgren (Finnish National Radio Symphony Orchestra - Sakari Oramo, Conductor) and in 2007 "Prophecy", Concerto for Accordion and Symphony Orchestra by world famous Estonian composer Erkki-Sven Tüür (Turku Philharmonic Orchestra - Olari Elts, Conductor). In 2008 he premiered last work of the famous Russian composer Anatoli Kusjakov, the Sonata No. 7 - "Misterium". 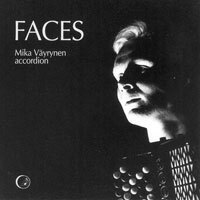 Mika made the World Premiere recording of "Chamber Music V - Barabbas Variations" for Accordion and Strings by Aulis Sallinen, a work which he has performed more than 30 times. 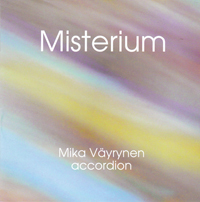 Mika Väyrynen is also known as bandoneon artist of great quality. Tango has always been close to his heart, and for four years he performed with his group "Tango for Four". In 2000 they received the special honor of performing for the Republic of Finland's President's Independence Day reception, which was broadcast live throughout Finland. From 2005-2007 he performed with his second Tango Group called "La Camorra". He has performed many works such as Piazzolla's Bandoneon Concerto and the Double Concerto for Bandoneon and Guitar with different orchestras. He is constantly involved with numerous projects with bandoneon including a current one called "Paris-Buenos Aires" with Norwegian violinist Atle Sponberg and double bass player Knut Erik Sundqvist. Mika Väyrynen is also respected teacher and lecturer. He has worked as teacher at the Sibelius Academy since 1999, and was appointed Professor of Accordion in Kärtner Landeskonservatorium in Klagenfurt, Austria from 1993 until 1996. Throughout his teaching career, his students have won several prizes in competitions. He has taught regular seminars at the Kragujavec International Accordion Summer School and has also conducted Master Classes at the Conservatoire National Supérieur de Musique et de Danse de Paris (CNSMDP), the Royal Academy of Music (RAM) in London. Mika Väyrynen studied at the Sibelius Academy in Helsinki, where he graduated with his Master's Degree in 1992 and went on to complete his Doctorate in 1997. During his years of study, he also spent one year in Paris, studying under Professor Max Bonnay, and in addition to accordion, Mika has also studied organ performance. In his free time, Mika is active in sports. He is certified instructor and 3rd Degree Black Belt in art of Haedong Kumdo, Korean swordsmanship.